Firstly, I would like to condemn in the strongest term possible the anti-Chinese sentiments in the Datum Jelatek protests yesterday. Such protests should never be about race and it should never turn violent and there should not be any warning of bloodshed. However, someone is not telling the truth here. Today, Selangor PKNS released a press statement that a total of 1,097 potential bumiputra buyers have shown their interest, exceeding their expectations on the project and said that all 674 units of controversial Datum Jelatek condominiums have been registered to bumiputra buyers. Great. Problem solved. All Bumiputra buyers - even for the most expensive units at RM8.3 million each. In fact, in 2012, PKNS GM Othman Omar was quoted in an article in The Edge that said the en-bloc sale of two of the four towers of Datum Jelatek to investors is evidence of the success of the project. 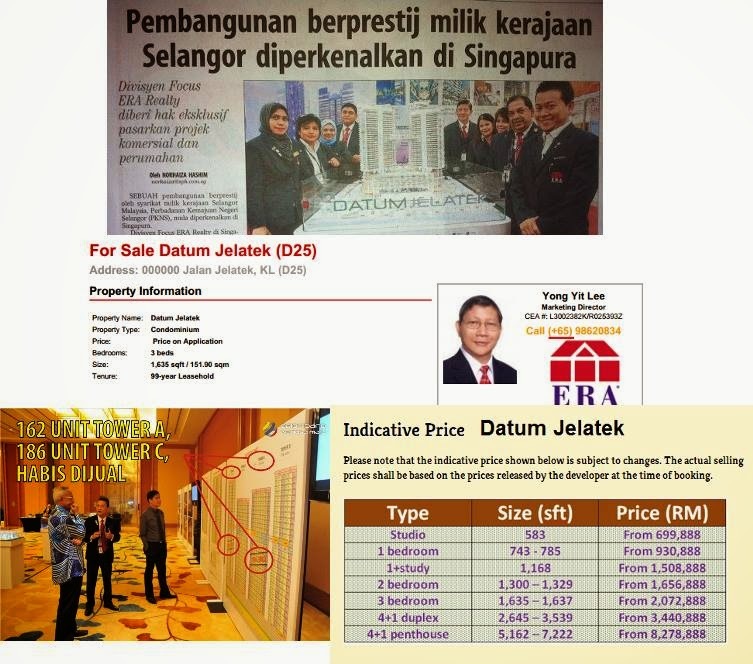 But Azmin Ali in a ceramah in 2013 clearly denied that there were any en-bloc sales and that this is all Fitnah UMNO-BN, PERKASA, NGO etc: https://www.youtube.com/watch It appears, pure greed is at the root of this controversy. Selangor Govt only spent a total of RM65.3 million to compensate all 206 original owners of the low-cost flats that were damaged. They offered RM300k to 192 flat owners and RM550k to 14 shop owners and also offered to purchase units in PKNS's project in Antara Gapi, Rawang! So, who is telling the truth? As there were almost 1,000 protesters there yesterday, it is unlikely that this was a staged political event (which Azmin Ali suggested) but it appears to be genuine anger at PKNS and Selangor govt for excessive profiteering and for outright lying.